South Indian Bank Recruitment 2017 Notification announced for 468 Probationary Clerk Vacancies. Apply for South Indian Bank Careers on or before the last date, i.e., 30.12.2017 through online @ southindianbank.com. Scroll down for complete details of South Indian Bank Vacancy 2018. 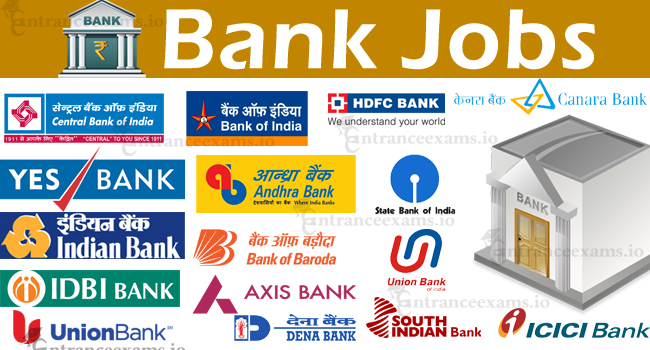 Are you searching for Latest Bank Job openings? If our guess is correct, then you are on the right page. South Indian Bank, a premier commercial bank in India invites applications from candidates to fill 468 Probationary Clerk Posts. Online application forms for South Indian Bank Probationary Clerk Recruitment 2017 will be available from 20.12.2017 to 30.12.2017 @ southindianbank.com. So, the aspirants who are dreaming of Bank Jobs can apply for South Indian Bank Recruitment 2018. Before applying go through the article to check your eligibility required for South Indian Bank Clerk Recruitment 2018. Moreover, check application procedure, syllabus, previous papers, etc. The applicant firstly needs to ensure his/ her eligibility required for South Indian Bank Probationary Clerk Recruitment 2018 like educational qualification and age limit. Since the board accepts only eligible candidates application forms check your eligibility below before applying for South Indian Bank Thrissur, Kerala Jobs. The applicant should have completed 10th/ SSLC, 12th/ HSC, and Graduation degree with minimum 60% aggregate marks on the regular basis from any recognized board to apply for South Indian Bank Clerk Recruitment 2017-18. The applying candidate’s age should not exceed 26 years as on 31.12.2017 for South Indian Bank Recruitment 2017. However, the upper age limit will be relaxed upto five years for SC/ ST aspirants. Go through the below sections for further more details about South Indian Bank Careers 2017 like essential date, pay scale, selection process, and application fee. The appointed aspirant for the post of South Indian Bank Probationary Clerk 2017 will get above salary per month. The selection process for South Indian Bank Clerk Recruitment 2017-18 has mentioned above. Contenders will be selected for personal interview depending on their performance in the online test. The candidates who are applying for South Indian Bank Probationary Clerk Recruitment 2017 need to pay above application fee through online. Postulates who wish to apply for SIB Probationary Clerk Jobs 2017 in Kerala should submit their applications through online @ southindianbank.com before 30.12.2017. Follow the apply online steps provided below while applying for SIB Recruitment 2017-18. Else, directly click on the apply online link given below. Click on the “Careers” link on the homepage. In next tab select “Click Here for New Registration,” enter the details and click on submit button. On submitting a unique provisional registration number and password gets generated. Note down the number and password. Enter these credentials and click on “submit” button. Fill the application form details correctly and cross-check them carefully before clicking on “Final Submit” button. After verifying the details entered click on the “Save & Next” button. Now proceed to upload your photograph and signature as per the guidelines mentioned in the official notification and click on “Final Submit” button. Then click on “Payment” tab and proceed to pay the application fee. Finally, click on ‘Submit’ button and take the printout of application form for further reference. Hope the information provided here was helpful to you. If you have any questions regarding South Indian Bank Recruitment 2017-18, then refer the official notification by downloading from above link. Meanwhile, keep in touch with Entrance Exams portal for upcoming and ongoing recruitment notifications.